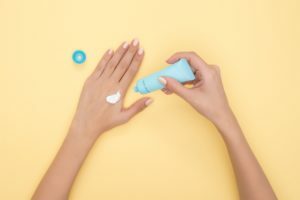 Organic Lotion Base: What’s Driving Consumer Organic Demands? Home / Insights / Blog / Organic Lotion Base: What’s Driving Consumer Organic Demands? With the global demand for clean beauty products expected to double over the next eight years, the pressure is on for personal care brands to expand formulations, product offerings and brand values to appeal to this ever expanding market. Since natural beauty products now make up a large share of the market, savvy brands are seeking out quality ingredients, such as organic lotion base options, instead of synthetic alternatives to stay ahead of the competition. What Exactly is “Organic” in the Personal Care Industry? Organic regulations for personal care products are not as straightforward as those for food. While the FDA does regulate personal care products, the term, “organic” is not regulated. Generally, personal care products that are certified to be at least 95 percent organic will bear an official USDA Organic seal. “100 percent Organic” This indicates that a product only contains organically produced ingredients. “Organic” This signifies that at least 95 percent of a product’s ingredients are organically produced and the remaining 5 percent of ingredients are on an approved list of substances. Cosmetic products labeled with organic claims, however, must comply with both USDA regulations for the organic claim and FDA regulations for labeling and safety requirements for cosmetics. The Soil Association is a nonprofit organic certification body in the UK, which provides another layer of classification available to guide customers. Consumers and retailers are both increasingly demanding products made from organic or natural ingredients. In fact, it is estimated that close to 90% of global consumers consider a company’s social and environmental stance before making a purchase (Mintel, 2017). Over the years, eco-conscious consumers have become more educated on their personal care and beauty product ingredients and are avid to avoid harsh chemicals such as parabens, PEGs, etc. As consumers become increasingly aware of sustainable product ingredients and personal wellness, other key trends impacting this movement are veganism and anti-pollution. Considering the strong drivers in the organic personal care market, organic lotion base presents itself as a suitable ingredient to synthetic alternatives. 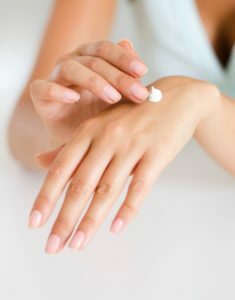 In line with the trends, we’re seeing more organic lotion base products in skin care such as moisturizers, cleansers, exfoliant scrubs, lip creams, massage lotions, baby moisturizers, sunscreen lotion, tattoo aftercare and even insect repellant. Organic Shea Butter– Popular in the natural body and cosmetic markets, this base for skin and body care is certified to the USDA National Organic Program Standards. Organic Botanicals Extracts– As a natural alternative to many synthetic ingredients used in commercial applications, Green Line Botanicals offers Botanicals extracts certified to the USDA National Organic Program Standards. Kinetik is an innovative raw materials supplier to the natural personal care and cosmetic industries. It is our mission to help brands nationwide with the complex personal care ingredients and formulations they need to address a wide variety of consumer needs. We work with clients and represent suppliers worldwide. Contact us at (732) 335-5775 to speak with one of our sales representatives about ingredients to support your formulations for an organic lotion base today.